Dmitro (Dmitry) Firtash was arrested in Vienna today on an FBI warrant for organized crime stemming from a 2006 investigation. Readers of this blog (from five years ago, at least) are well aware of his role in Ukraine’s energy sphere. He is most well-known perhaps for being the central Ukrainian behind RosUkrEnergo, a gas middleman from back in the day. Before being outed as the Ukrainian businessman behind the venture, he was notoriously camera shy. Since then, he has worked to burnish his image (though the creepy corporate shot above is a bit weird) and expand his Group DF assets. Some reports link Firtash with infamous gangster Semion Mogilevich, though he has disputed this connection. When Mogilevich was surprisingly arrested in Moscow in 2008, some thought that it might resonate down to Firtash and others. However, Mogilevich was released on bail, despite being listed as one of the FBI’s top 10 most wanted, and Firtash continued to grow his business. He and Tymoshenko have a long-standing feud. As she emerges more powerful in the latest round of Ukrainian leadership, it could be expected that he may suffer as a result, especially given Ukrainian politicians’ propensity for retribution. His arrest is also being viewed as a means of putting pressure on Russia, sending a message to oligarchs with ties to the country that they could be targeted as part of the Washington’s frustration with Putin’s moves in Crimea. 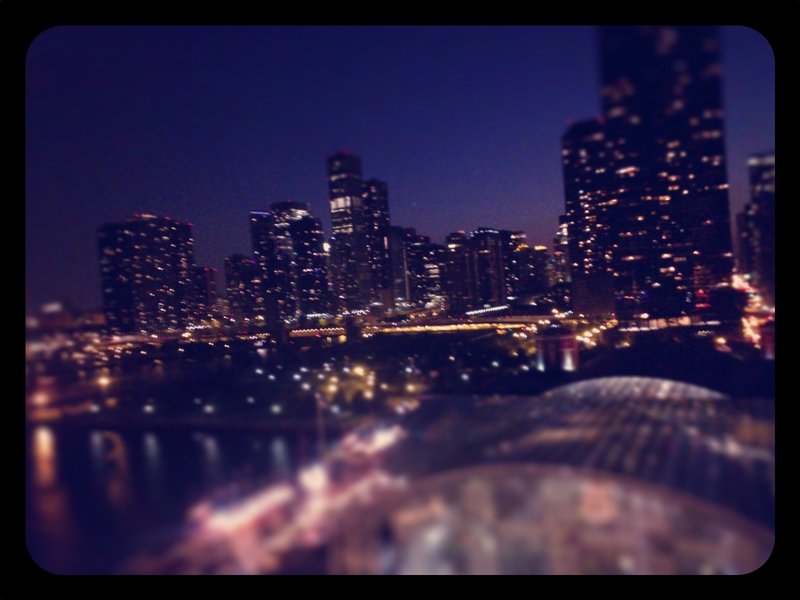 I have recently moved on from PFC Energy and am enrolled at the University of Chicago Booth Business School, where I will be completing a two-year MBA degree. I am excited to continue in the energy sector and am still following my pet topics including Ukrainian gas politics, Russian oil industry and the geopolitics of energy in the former Soviet Union. While I will be occupied with full-time studies, I am available for part time consulting or advising work in any of these topics, should my expertise and background overlap with a company’s particular needs. I have already done some advising concerning a major Ukrainian industrial conglomerate and can offer an outside perspective with extensive qualitative and quantitative experience in oil, gas and economic topics withing Russia, Ukraine and the rest of the CIS. Please contact me at hstege@gmail.com for more information, including references and citations. 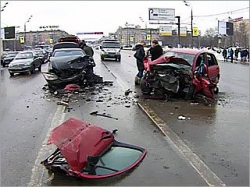 One of the biggest stories in the Russian blogosphere is a car crash that killed a prominent doctor and her daughter during a Moscow morning rush hour late last month. In the other car, and escaping with minor injuries, was a Lukoil vice president, Anatoly Barkov, and his driver. Barkov is head of corporate security at Lukoil, and as has been pointed out, he has a conspicuous gap in his resume between being born in 1948 and graduating from the Ufa Oil Institute in 1992, the year he became head of the foreign projects department of Lukoil’s predecessor, LangepasUrayKogalymNeft (see the initials in there?). The Moscow traffic police quickly blamed the crash on the car driven by the women, but an outcry spearheaded by their family and local automotive organizations brought attention to the case and accusations of a cover-up. Video footage has emerged that shows Barkov’s black Mercedes pulling into the VIP center lane that separates the two sides of the road just moments before colliding with the other car, which was heading in the opposite direction. The actual collision, however, is hidden by a billboard. The incident and Lukoil’s initial rather callous response has hurt the company’s image and the ensuing public outcry has led to the reopening of the case. Witnesses are being implored to step forward, though some apparently are fearful of repercussions. Corporate security is a huge deal for these firms, and the divisions tend to be stacked with former (or current) security service employees. The implication is that during Barkov’s formative years, and up until he began working at Kogalymneftegaz (apparently while attending Ufa Oil Institute), he was involved in the KGB, GRU and/or its successors. This type of biography is not rare for higher ups, particularly in the oil industry. There is similar speculation surrounding Igor Sechin, Rosneft’s chairman and the deputy Vice Premier who oversees Russia’s oil and gas sector. He graduated with a degree in Portuguese and spent significant amounts of time in Africa, ostensibly as a translator, before emerging in the early 1990s in the same St. Petersburg mayoral administration that launched Putin’s career in politics. These types of (alleged) connections to the security services give accusations of a cover-up involving the police more credence, but there is a general frustration among the latitude afforded to the “well-connected.” A similar car crash in Irkutsk, where a daughter of a local United Russia figure killed one pedestrian and paralyzed another, has also generated outrage. The momentum picked up when video footage of the horrific incident emerged online, clearly showing the driver emerging from the car and examining the damage to her hood, while ignoring the crushed bodies on the ground. That case, which originaly absolved the driver of guilt, has also been reopened. Even by the standards of a city that celebrates extravagance, it was a spectacular shopping spree: In just two weeks early last year, an 11-year-old boy from Azerbaijan became the owner of nine waterfront mansions. The total price tag: about $44 million — or roughly 10,000 years’ worth of salary for the average citizen of Azerbaijan…In all, Azerbaijanis with the same names as the president’s three children own real estate in Dubai worth about $75 million, property data indicate. Dubai real estate dealers with knowledge of some of the transactions said the purchases were made by a buyer representing Azerbaijan’s ruling family. Ilham Aliyev, Azerbaijan’s president, has ulimate control over his countyr’s oil and gas sector, and has apparently done quite well for himself (above and beyond his reported $228,000 salary). The Caspian oil rush following the collapse of the Soviet Union was marked by kickbacks, corruption and power struggles, as described nicely by Steve LeVine. Many of those problems clearly continue today, though it’s unclear if stories such as this Dubai real estate excess will cause any changes to the system. All it takes is a look across to other Caspian / Central Asian states to see similar dealings. The daughter of Uzbekistan’s leader is heavily involved in the country’s energy sphere. Turkmenbashi was famously skimming off gas export revenues for his ridiculous prestige projects. Iran’s Revolutionary Guard apparently benefits from control over gasoline distribution channels within the country, and can facilitate lucrative fuel smuggling operations. The NYTimes had a front page article on Sunday detailing possible violations in US sanctions by companies investing in Iran, and particularly drawing attention to those receiving US money in grants, projects or loan guarantees. Unsurprisingly, the oil and gas sector topped the list of industries affected, as numerous international companies seek to benefit from Iran’s attempts to modernize its refineries, develop its gas fields and expand oil production. The efficacy of such (attempted) sanctions is debatable, but the potential scandal (and resulting pressure from the US) has caused some companies to pull back from their Iranian operations. For example, the Indian refiner Reliance has added a clause to its oil product sales contracts where the purchaser is barred from re-selling the cargo to Iran. However, industry press is reporting that Petronas nevertheless sold gasoline from Reliance to Iran, in apparent violation of the refiner’s terms. It’s easy enough to route a shipment through a layer of traders to clear your conscience when presented by the types of premiums Iran is forced pay out for its imports. Lukoil has also allegedly supplied gasoline to Iran, exporting the product through the Caspian. Such trade dealings do not have the same negative connotation within Russia as they do in the US, though, and would be unlikely to generate near the negative feedback as the car crash incident. However, Lukoil maintains a 1,500 site retail network in the US east coast and counts ConocoPhillips as a strategic investor. Should US efforts to tighten restrictions and sanctions on Iran intensify, these US ties may provide some leverage for gaining Lukoil’s cooperation. Anyway, the company would likely welcome any form of positive international PR in the face of continued backlash over the fallout from last month’s car crash. Happy New Year! 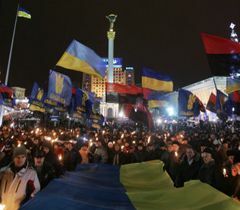 Celebrating 2010 and my return to blogging, I present the top four energy sphere issues that Ukraine’s new president — likely to be determined on a February 7th runoff election — will face in the coming year. At #4, modernizations across the board. Ukraine’s coal mines are notoriously unsafe, its gas transportation system is in need of investment, and its refining sector is facing massive technological deficits. Modernizations at an industrial level can improve energy efficiency and boost the competitive positioning factories facing difficult times. How the government incentivizes locally-based investments and how it finds the money and partnerships for large-scale modernizations (particularly for the gas pipeline system) will be key. At #3, inflation and gryvna depreciation. While not specifically energy-related, the potential for continued inflation and further depreciation of the gryvna have a range of implications to Ukraine’s energy sphere. In particular, the majority of Ukraine’s energy sources are imported and bought with dollars while they are sold domestically on a gryvna basis. For institutions like Naftogaz that are based on relatively strict gryvna-based budgets, any increase in the exchange rate makes payment for gas imports that much more difficult. ¶ For consumers, this is most evident with the price of gasoline, given Ukraine’s high reliance on crude imports. Oil is bought with dollars, largely refined locally (where companies must pay gryvna wages) and the products are sold in gryvna terms. As the exchange rate weakens, the nominal price of gasoline increases for consumers, a trend that can be particularly vexing if they notice global oil prices not rising in a similar fashion. At #2, oil supply issues to refineries. Ukraine’s refining capacity is woefully underutilized and hampered by problems in securing adequate crude supply. Kremenchug no longer receives Russian crude after Privat seized it in late 2007. Neither of the two Privat-owned western refineries get Russian crude either, and both are operating at very low utilization rates due both to the supply issue as well as low complexity hampering the quality of product output. Lisichansk gets fairly stable crude deliveries from TNK-BP, but is still only at about 40% of its potential capacity. Odessa was near full utilization until a dispute with Ukrtransnafta forced a disruption and a new pipeline supply scheme in October 2009. ¶ If crude supplies stabilize, particularly for the key refineries, then an important industrial segment will have a stronger operating environment to push the recovery, and will be better prepared to make the investments in order to transition to higher fuel specification (see above). Also, on a macroeconomic basis, the country’s current account balance should strengthen as oil product imports decline. It would likely also represent a step towards more genial energy cooperation with Russia, since that is the most likely source of crude for Ukraine. At #1, recalculating gas tariffs. Ukraine’s government needs to fix Naftogaz’s finances so it no longer relies on cash injections from the central bank or IMF funds. The only way for this to happen is to bring revenues more closely in line with costs. While the NERC (the regulating body) has been willing to pass along increases to industrial consumers, sometimes even at unjustified levels, pushing them onto residential and “budget” users has been more difficult. It’s been impossible to do politically, with Tymoshenko being unwilling to take on the damage to her popularity such increases would bring. Meanwhile, the IMF is screaming down Naftogaz’s door, essentially demanding a more realistic tariff for the currently subsidized users. ¶ While technically under the purview of the Prime Minister, how the new President (and likely the new PM) handles this issue will be very important for bringing Ukraine out of perpetual “crisis” mode, particularly given the monthly account settling Naftogaz faces with Gazprom. A few different tactics need to be pursued, including increased energy efficiency to lower demand (current demand drops are relatively temporary due to slowed economic activity), a push toward individual gas metering to better measure consumption, and a shift away from blanket subsidies to a system of income-based assistance. No one wants babushka to freeze, but that doesn’t mean that the middle-class family living three doors down should get the same discount that she does. I stopped blogging about a year ago, largely due to time constraints with work (amazing the difference between having a full-time job and being on a Fulbright…). Not too long after, Dartmouth pulled my hosting and my blog went completely offline as opposed to just dormant. Various people have prodded me to re-up the content and continue blogging, so this is my attempt to do so. I was able to restore the bulk of the past posts thanks to backups I made as I went. However, there is about a month-long gap around June 2008, and the lastest batch (July 2008-January 2009) was copied from a cached version of the site and are thus lacking their associated comments. Essentially all images have been stripped out as well, unfortunately. Also, because links were set up to point on an absolute basis rather than relative, addresses pointing to old posts on the Dartmouth server no longer work either. I will see what I can do to address these issues, but we may have to live with them. I look forward to jumping back into things (amidst a contentious Ukrainian presidential election, no less), though will likely be more sporadic than in the past again due to time constraints. I am working at PFC Energy now, and have largely shifted into covering oil, but remain quite interested in the same topics I was writing about previously. The address www.kremlin-inc.com should now point to this blog, and can be used for any linking purposes. Feel free to email me (hstege (at) gmail dotcom) with any comments / questions. A couple friends have mentioned my lack of blogging, and its absence is particularly notable now during the latest iteration of the Ukraine-Russia gas spat. I’ve been working on the conflict at work (which has kept me busy, and away from this blog) and following it quite closely. However, at this point I don’t feel I can put the time and effort into a post that the current situation would deserve. Hopefully I’ll be able to do a “postmortem” roundup, though that of course has to wait until it’s actually more-or-less resolved. I say more-or-less because there’s no way that any agreement reached in the next weeks (and it could stretch that long to get something relatively concrete) will solve the underlying issues, just as none of the past contracts since the breakup of the Soviet Union have. Gazprom has announced that they will be buying Central Asian gas at essentially netback European prices, as opposed to the rock-bottom prices that they’ve gotten historically. (Whether or not they actually are paying what they say they are is another matter though.) Europe obviously pays European prices. The only cogs in the system that don’t pay “European” prices then, are Ukraine and Russia (internally) itself. Russia was apparently willing to continue “subsidizing” Ukraine by passing along a set price for the year of $250 per mcm, so long as Ukraine froze transit fees, ceded more of the internal industrial market to its local marketing arm Gazprom Sales Ukraine (GSU), and opened up some strategic infrastructure within the country to ownership by Gazprom. Late in 2009 would bring more negotiations for the price in 2010, before moving to a formula indexed off of gasoil and heavy fuel oil prices in 2011. Ukraine balked, and Yushchenko ordered Dubina home from negotiations in Moscow right before the deadline. The two sides made good on their posturing, and have ground the gas flow westward to a halt. Putin has grown angry, suggesting Ukraine move to the “market” rate of about $450 / mcm immediately. Yushchenko came back with his own $201 figure. Based on the lag time in gathering the average oil product prices incorporated in Gazprom’s sales contracts, gas prices would be pretty much reaching their peak around now (corresponding to the all-time oil price highs in July and August 2008). So if Ukraine were using a formula to determine their prices, they’d be stuck with a figure roughly corresponding to Putin’s threats. But that price is adjusted quarterly, and because of the rapid fall in oil prices at the end of 2008, it is guaranteed to go down by about $50 by the time it’s recalculated in April 2009 — that is, if Ukraine moved fully into this “European”-style arrangement, which doesn’t appear to be likely. If they did however, and if oil product prices stayed at about the same levels they are at now partway into this year, by 3Q2009 the gas price would drop nearly $100 and by 4Q2009 it would even be below the $250 / mcm originally offered. Gas pricing is a tough job because it lacks the market drivers and signals of other commodity exchanges. It’s particularly obtuse when two monopolies are the buyer and seller. Add in the political back-story behind each country and their historical relationship, and you have a rather complicated situation. P.S. Check out the coverage by LEvko, Taras, and Adrian for more regular news updates. The Oil Drum also has been posting about it, as has the local press (once they came back from their New Year’s breaks). Pelevin describes a “phantasmagoric and surreal exposition on the intersection of post-Soviet and Western culture within late 1990s Russia” where the protagonist evolves from a translator to an advertising copywriter and eventually, drawing upon Pelevin’s connection to eastern mysticism, to the figurative husband of the Sumerian goddess Ishtar. Saddled between two continents, Russia is continuously torn between Asian and European influences. Just as a distinctly Russian identity was crystallizing in the form of the Soviet man, the Western ideals of capitalism and commercialism came crashing in, reigniting the debate—if, indeed, it was ever truly silent. Pelevin’s new book, “The Sacred Book of the Werewolf,” is reviewed today in the New York Times by Liesl Schillinger. While I haven’t yet read the book, it appears to re-visit this theme of transformation, with the heroine being a werefox/prostitute and the hero a werewolf/FSB agent. Anyway, a bit of a break from the usual themes. I recently finished reading “Watchmen,” (also off-topic) and am also currently reading Steve Levine’s “The Oil and the Glory” — which is very much on topic. I recommend both.